Through this framework, the author analyzes DEC's inability to succeed in the PC market, despite its one-time leadership in computers. While DEC certainly had the resources, it did not have the processes (requiring cost-effective outsourcing of parts, rather than proprietary design and integration of sophisticated devices) or the values (PC gross margins were lower, which is not the kind of business DEC was willing to chase). 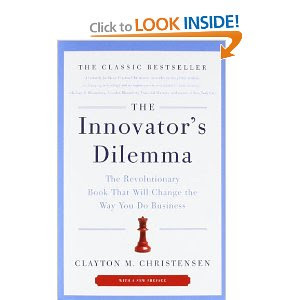 To take on a disruptive challenge, therefore, Christensen discusses 3 options facing a company: acquiring a different organization where processes and values match the new task, changing the processes and values of the current organization, and separating out an independent organization with new processes and values.